Formula One race winner Robert Kubica will contest the FIA World Endurance Championship with ByKolles Racing, the Austrian-badged team confirmed on Friday, while also naming Oliver Webb to driving duties of the No. 4 ENSO CLM P1/01 NISMO. 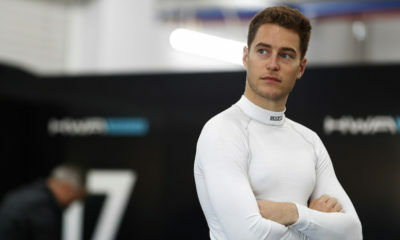 The 31-year-old Pole, who debuted with the team at the WEC Rookie test in Bahrain in November, has been competing primarily in the World Rally Championship since injuries suffered in a serious crash in the 2011 Ronde di Andora rally sidelined his promising F1 career. Kubica said a return to circuit racing in a high-downforce car made LMP1 an appealing option. “After my time in rally I’ve been looking for something as close to Formula 1 as possible,” Kubica said. “This is exactly what I’ve found in LMP1. “At the end of last year’s WEC season, I was able to do my first laps behind the wheel of the CLM P1/01. I felt comfortable in the car very quickly and was able to increase my pace accordingly. Endurance racing is a new challenge for Kubica, but he said familiarity with many of the circuits on the calendar should help ease the learning curve. “I’m happy to be a part of it,” he said. “The WEC is racing on circuits that I know well from my time in Formula One. While being the lone non-hybrid on the LMP1 grid this year, the team’s upgraded chassis will be utilizing the same engine that powered the Nissan GT-R LM NISMO LMP1 cars in 2015. ByKolles’ third driver will be announced at a later date.